Wow, saying goodbye to February already!! I can't believe we are nearly into to the third month of 2016! February got a little more exciting by the end but I know for sure March is a big one!!! If I haven't mention but I am heading to New York very soon, so getting ready for a lot of blog post and hauls!!! Anyway, big intro done, here are my February Favourites! 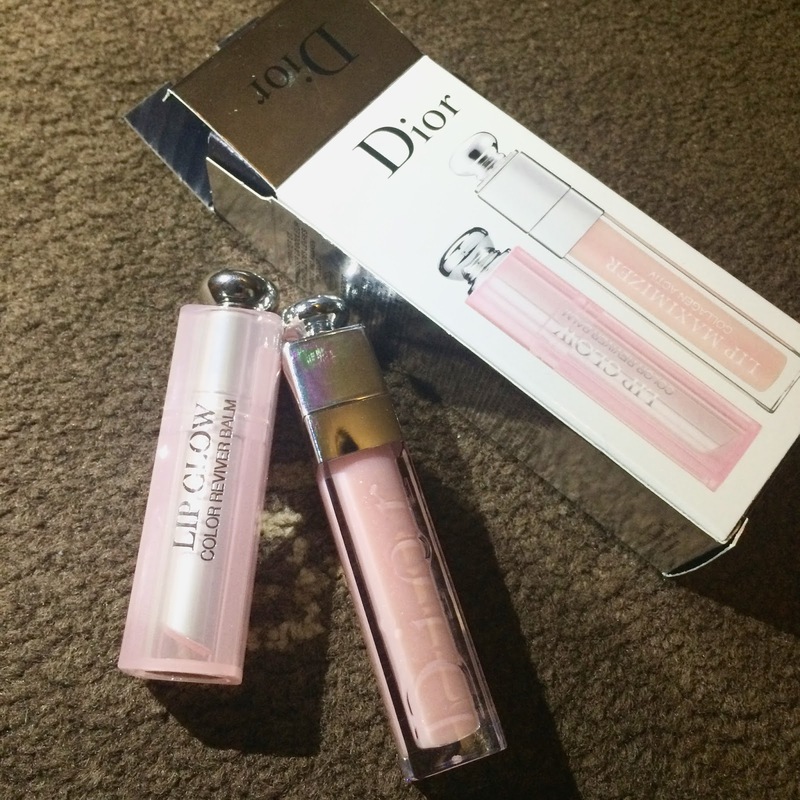 Number one product I have been loving since the end of January has to be my Dior Lip Maximiser set. I've mention before that I have partially small lips so whilst I was in London airport I picked this up at duty free! I was a bit skeptical as a lot of lip plumbers cause your lips to hurt but I was glad this didn't!! I mean it feels different than normally lip gloss but it does the job! It Obviously it doesn't give me Kylie Jenner lips but it give me a boost and a really high gloss which I have been loving! On the topic of Kylie Jenners lips I was very lucky to get my hands in two Of Kylie's Lip kits. I purchased KOKO K and POSIE K.
All I've heard is great things about the kit and they are all completely right. The colours I got are gorgeous, I got a lot of compliments about my lips whilst wearing both. The liner is very easy to apply and glides on well, The lipstick itself has a good wear and last most of the day. The one thing I will say is that at the moment I have very dry lips so when I applied and the reapplied it did make my lips very dry. But I do put that down to my lips already being dry. The delivery was quick although when I received KOKO K the liner just broke, I tried to sharpen it, it it happen again. I emailed Kylie's team and they have been amazing are sending me a replacement so I am very happy. Last of the Beauty products has to be the brand Kiko, whilst I was in London I visited BlueWater shopping centre and I popped into Kiko. I have never bought any of there products before so it was very exciting. I ended up getting two things. 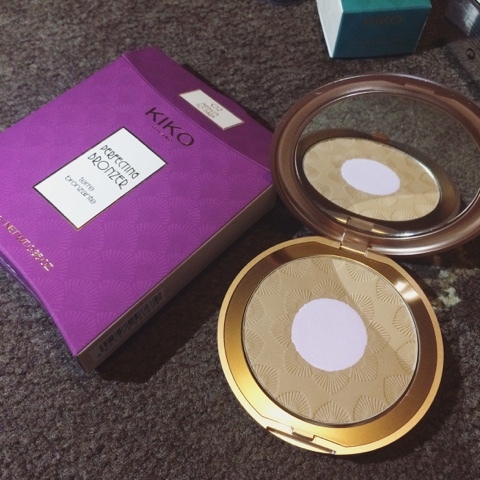 The first item I have been loving was this amazing bronzer. The shade matches my skin so well, it has a slight shimmer as well has the white highlighter in the middle. I use this as an alternative to Nars Laguna bronzer when I am my work! I then seen this gorgeous eyeshadow. 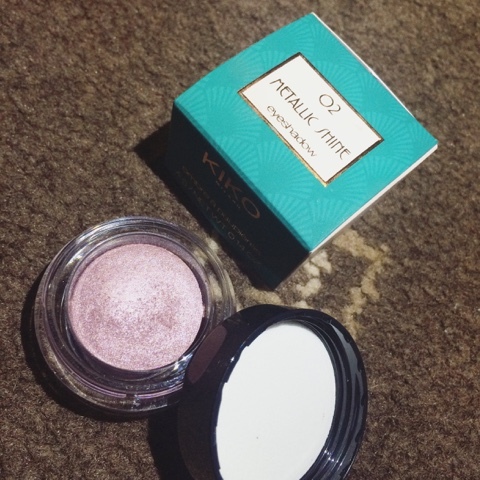 It is a super pretty pink/purple shade with a a lot of shimmer!! I loved this as it is very close to the colours in the Naked 3 palette. If you have read my blog you will know that I love the paint pots by Mac, this is very close. It is not as creamy as Macs but it still is very simple to apply. It has been my go to shade this month! I feel like I have given up on PLL, I find it has dragged out and I am not that excited about watching it anymore so I have had to find another Tv show to obsess over. And that has to be FRIENDS! 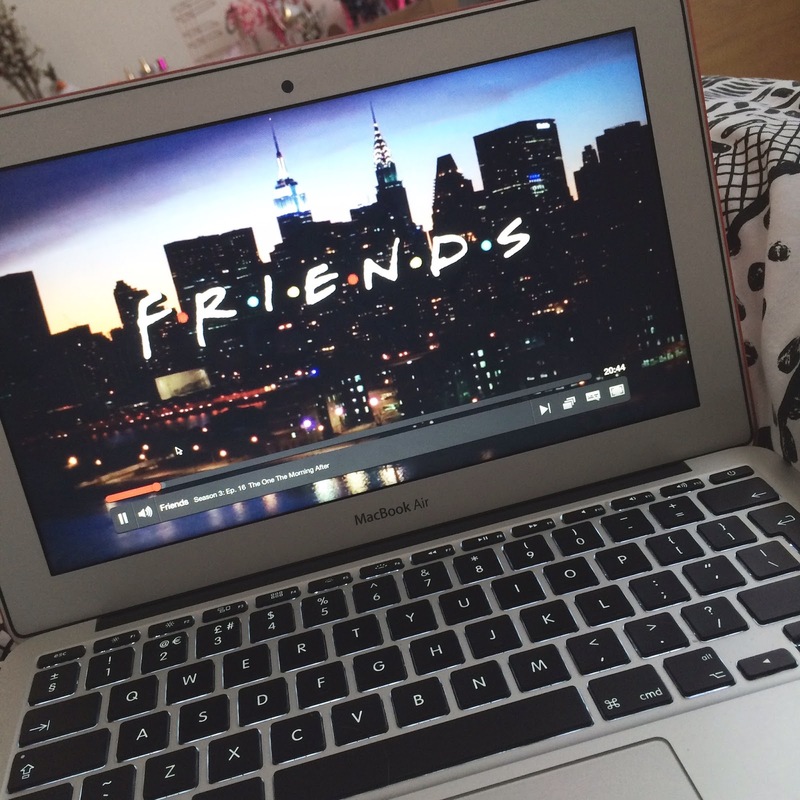 Surprisingly I had never watched a full episode of Friends in my 20 years of my life. It was never really a show my parents watched so it never bothered me! But now I am HOOKED!! Why have I never watched it before. It is just an easy watch and has great story lines. I regret not watching it soon!! I love that it is in 25 mins episodes , so I don't get bored lol! Music wise, I feel I stick to the same genre of music, the poppy 1D, Justin Bieber kind of music. I wanted to branch out again and try different music! I have always had a soft spot for the Arctic Monkeys so they are back in my Spotify Music a well as Marina and the Diamonds, Bon Iver and to my surprise The Beatles. So they have to feature in my Feb favs! And Lastly I giving a big shoutout to my sister boyfriend's dog Ailsa! 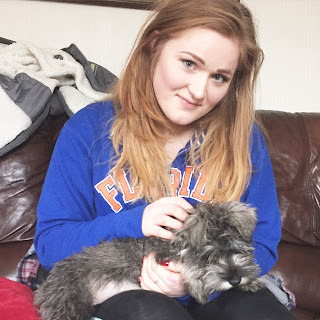 I want to do I full post on facing my dog fears, but for now I will just quickly mention the fact that since I can remember I have been terrified of dogs!! This month seen me face them and look after this cutie Ailsa!! I spent two days with her and Ive fallen in love!! So 100% she is my number one favourite of this month!! Let me know what your February Favs are? ?